In the past weeks I recommended 3 clients purchase white jeans. Two of them opted for skinny jeans and one of them got flare jeans. They were either thin or had a bit of curves and they all look fab in it! And yesterday… I bought white jeans for myself – or the temptation to beeing a personal stylist. 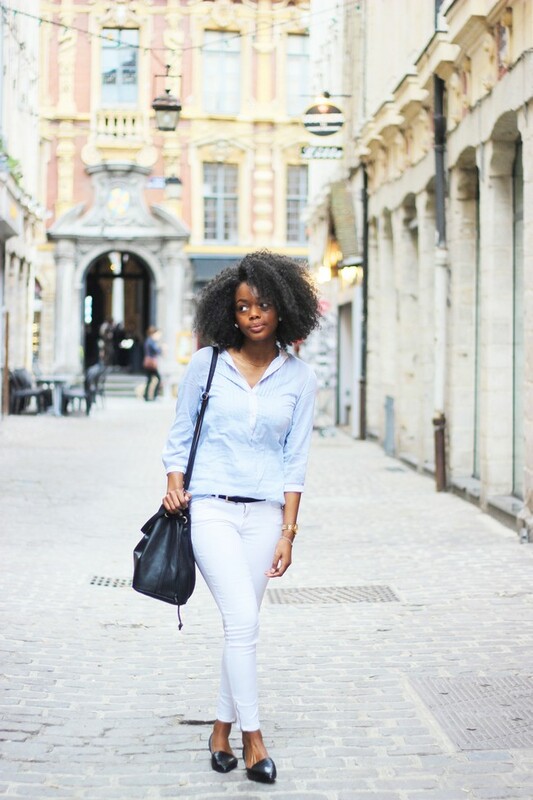 Anyway, I think that white jeans are the perfect spring item (when it will stop raining!) and that you too could use one in your wardrobe. But how to wear them in a chic way? Because, I do not know about were you live but here, in France, some think only “cagoles” wear white jeans. What is a “cagole”? Erm. That would be an Essex girl in England (according to the urban dictionnary, sorry to any Essex reader!) for instance. In France, they live in the south, like overtanning, leopard prints, very tight clothes, loop earrings and super high heels. And lots of white! But forget your prejudices, you can make white jeans look amazing! – avoid any shine in the fabric. Plain cotton (with a bit of stretch), is the best choice. – prefer the ones with white sewing. 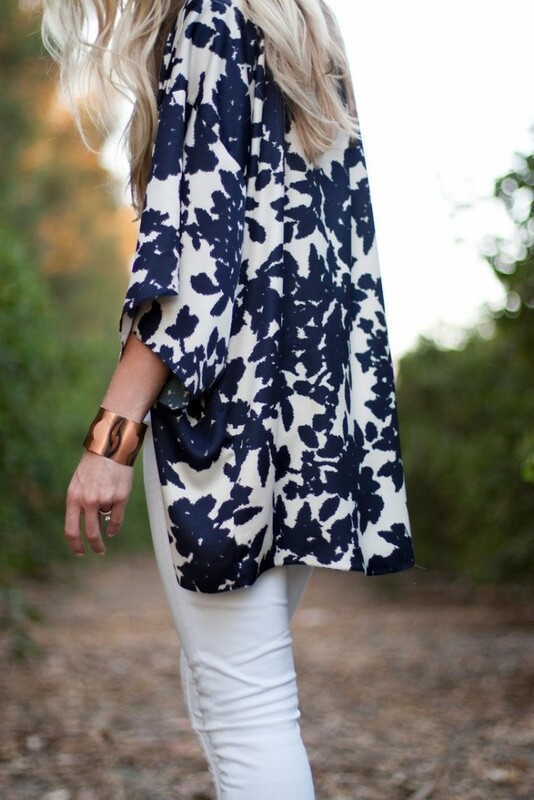 The white jeans shall be a basic you could wear with anything. If they have a sewing another color, pay attention that it stays discreet and harmonious. – rather choose jeans that are simple. No holes (or not too much), sparkles, etc. Go for the shape you prefer: skinny, flare, boyfriend, they are all great! And yes, white sets light on legs but that doesn’t mean they can’t look great on curvy girls (here too). (The reason why I don’t put this pics on the blog is that, even though I think their jeans suit them well, their whole outfits are not the style I show here). By soft colors I mean colors that are dusty or whitened. They are less “sweet” that pastels which is why I prefer them. With them the looks look more “natural” and less “dolly”. 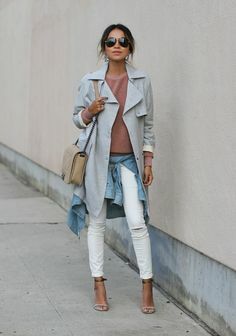 Sincerely Jules, one of my favorite bloggers, is a master with colors, she mixes her white jeans with blush pink, whitened teal and pale blue (denim). You can make your white jeans look very modern and urban by mixing them with greys, silver accents and even black. If you want to wear black with your white jeans, I think adding grey is a great way to transition in a subtle way. Like sandy tones. They look very sophisticated with white jeans. White and blue are an all-time classic. I like very much the contrast between tough blue denim and white “preppy” denim. Break the purity of white with this earth color. Bright colors with white can quickly look “too much“. I recommend you to stick with one only and to temper with neutrals or more white. 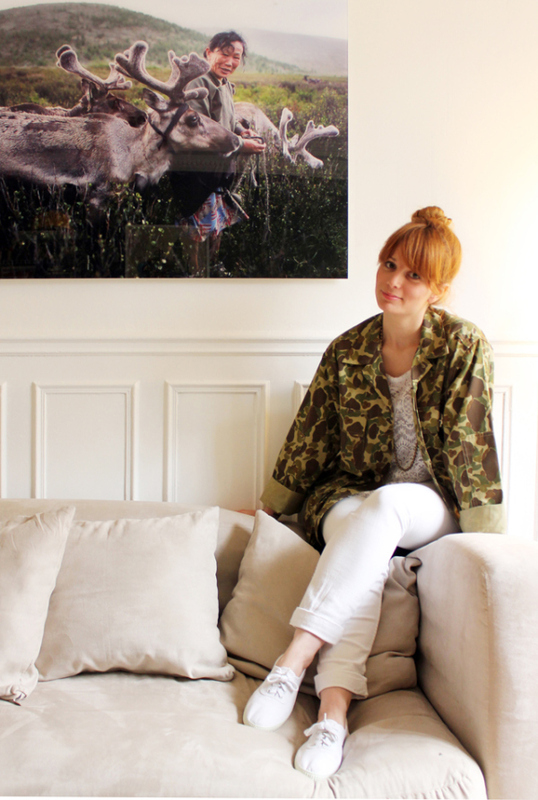 White jeans are perfect to create all white (or almost) outfits that do not look too “David Hamilton-ish”. Just like with all black, choose varied textures and cuts to make your all-white look stand out. And you? 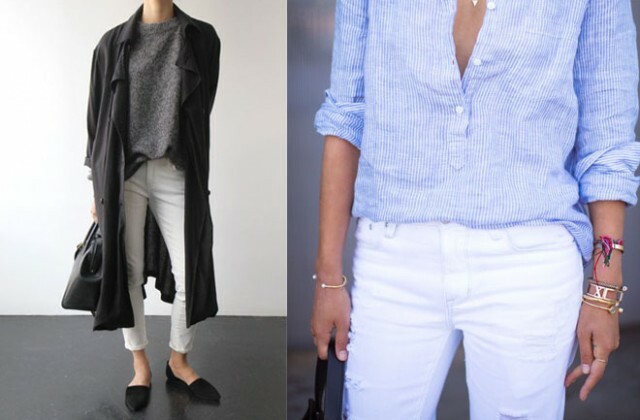 How do you wear your white jeans? Jolie sélection ! & Merci beaucoup 😀 ! Super billet ! Bon, pour moi, il va d’abord falloir que j’arrête de m’asseoir sur les marches et les bords de trottoir avant de m’acheter un jean blanc…Mais une fois que je saurais m’asseoir comme une lady ( c’est-à-dire sur une chaise….propre) j’ai bien envie de tenter parce que je trouve ça vraiment joli. Hier, croyant au retour du soleil, j’ai sorti le jean blanc… qui a fini tacheté de boue sur les mollets. Je confirme que c’est salissant!